Manyeleti forms part of the vast, celebrated wilderness of the Greater Kruger National Park. Manyeleti Private Game Reserve is wedged between the Sabi Sand and Timbavati private game reserves on the eastern border of the Kruger National Park. The private game reserves, in conjunction with the park, form the Greater Kruger National Park, which in turn exists as part of the Great Limpopo Transfrontier Park that incorporates areas of Zimbabwe and Mozambique. Manyeleti lies smack in the middle of Big Five country and is relatively underdeveloped. With only three lodges and 200 kilometers of gravel road, visitors will not be confronted by buses full of chattering tourists nor will they encounter traffic jams at popular waterholes. Manyeleti offers more than 300 bird species as well as the Big Five and many other species of game. It is a wonderfully wild haven for the nature lover. With only three very intimate lodges, exclusivity and personal attention to your group is a guarantee. It is truly a private safari experience, with guides ensuring that safaris are customized to your specific wants and needs, food being specially prepared for you, private swimming pools and amenities to ensure your comfort – you will not be disappointed. For those who are interested in getting to know the finer details of the African bushveld, Manyeleti offers flora and footprint tracking by extremely educated rangers that will transfer their knowledge of the area to you. Getting to know the area and gaining a broader understanding of the ecosystem will in turn add to the typical safari experiences. At Manyeleti, you can be sure that you will not be experiencing the same thing every day. Game drives are often to different locations in search of specific species. Various relaxing and rejuvenating activities are available at the lodges, and even your dinner may not always be served in the same locale. Traveling to Manyeleti by air can be done through various methods, and depends not so much on which lodge you are residing at, but on where you are coming from. Guests can fly to either Hoedspruit, Skukuza or Kruger Mpumalanga International Airport. From any of these airports guests, will be transferred to their lodge in a private air-conditioned vehicle..
Manyeleti is located between Timbavati and the Kruger National Park, and although it can be accessed quite easily by road, the six hour drive from Johannesburg is quite extensive. 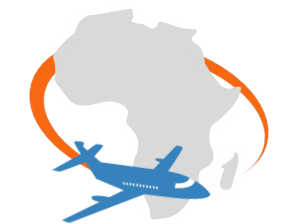 Guests traveling with African Sky will either be flown to the nearest airport, or, if you are visiting Manyeleti after another destination in the area, you will be transferred via a private, air-conditioned vehicle. Wildlife viewing is at its best during the dry winter months in Manyeleti. The vegetation is much sparser than during the rainy summer season, and the animals flock to the watering holes. During the winter months it does get cold in the evenings and early mornings, but the days are quite fair and the temperatures are ideal for bush walks and clear skies makes for great stargazing. The peak summer months from December to February can be very hot and humid, but the lush green vegetation is beautiful. Spring is a great time for birders, as the migratory birds arrive in the reserve, and new-born animals can also be observed. The park never gets very crowded, which means guests can visit comfortably depending on their viewing preferences. Manyeleti translates to “place of the stars” and is owned and managed by the local Mnisi tribe. The reserve was part of a land claim and was founded in 1963. During the apartheid years, black tourists were not allowed in the Kruger National Park, and therefore Manyeleti was the only place where they could enjoy nature's bounties. The apartheid government was loathe to engineer any development within Manyeleti and for many years visitors to the reserve had to contend with very basic amenities. Today, this has proved to be a blessing in disguise, as Manyeleti is as close to untouched bushveld as one could hope for. There are only three lodges, which are owned and run by private individuals, making a visit to this reserve a truly organic experience. 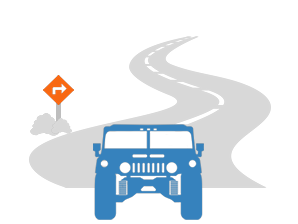 There are no tarred roads in the reserve - only 200 kilometers of gravel road. The roads are well-maintained but currently there are no plans for any further development. Manyeleti forms part of the Greater Kruger National Park, which gives visitors access to one of the best game reserves in the world while maintaining their own intimate experience in the Manyeleti Reserve. Manyeleti Private Game Reserve is part of the Greater Kruger National Park. It is slightly drier than the surrounding areas that cause the larger animals like the Big Five to not constantly reside in this area, but they do move through here. This said, almost all of the animals in the Kruger Park can be seen here. The most common animals in this part would be your Burchell's zebra and blue wildebeest that move around in large herds. Manyeleti Game Reserve does offer a good chance of seeing some of the lesser known unusual species, such as greater kudu, nyala and the rare sable antelope. The possibilities of what one might find at Manyeleti Private Game Reserve are endless. In this area, 108 mammal species, 25 species of amphibian, 80 reptile species and more than 240 bird species have been documented. Thus, the reserve caters to any and all that want to have a true safari experience. The Manyeleti Private Game Reserve does not allow guests to go and drive around on their own, which provides guests that go out on safari with a much more exclusive experience. Manyeleti is one of the few places where one might see black-back jackal and side-striped jackal in the same area. This is unusual, as these two species compete for the same resources. Manyeleti Private Game Reserve is nestled between the Kruger National Park, Timbavati Game Reserve and Sabi Sand Game Reserve, and there are no fences between the park and private reserves. Situated within the savanna biome, which is the most commonly found biome in South Africa, more than 350 plant species can be found in the reserve. The biome is characterized by grassy plains, mixed woodland and dense riverine shrubbery on the banks of the rivers and their tributaries. Thorn trees scattered among the long green and yellow grassy plains create the perfect habitat for herbivores to graze and predators to hide as they hunt them. The terrain is extremely dry in the winters, and very wet in the summer rainy season which means that the availability of food fluctuates throughout the year. The large lake that is located in the center of the reserve, as well as the N'waswitsontso and Pungwe Rivers, are therefore marvelous attractions throughout the year, as animals and birds congregate at the water hotspots. If you want to experience an exclusive Big Five safari and relax and rejuvenate your spirit in the African bush, Manyeleti is for you. Its fence-free agreement with some of the Kruger National Park and neighboring reserves means that the animals roam freely, but people do not. It is relatively small and not as well-known as the larger reserves, which makes the experience so much more tranquil and private. Game drives are conducted twice daily by experienced rangers that will share their intimate knowledge of the area with you. Each of the three uniquely designed lodges have a small in-house library coupled with both indoor and outdoor relaxation areas and swimming pools. Guided bush walks are also available, and guarantee an in-depth experience of the surroundings – the knowledge transferred by guides during the walk will leave you amazed. If you are in need of some R&R, you can visit the Clarins Spa at the Tintswalo Safari Lodge that offers various beauty treatments administered by qualified therapists. Manyeleti lives up to its name - which means ‘place of the stars’ - with exceptional stargazing opportunities on clear nights, accompanied as always by the cacophony of sounds of the African nightlife. Barely touched by development and with only a handful of lodges, you'll undoubtedly savor the exclusivity of a safari in the 'place of stars'. The experience is also tangibly authentic, as you'll notice in the fine skills of your rangers and trackers. True to its name, 'the place of the stars' is one aspect of the reserve that you are sure to cherish forever. The glittering stars seem to shine so much brighter here, and you'll get lost in their sheer vastness and brilliance. Manyeleti is far from the mainstream tourism areas, and one of the few places where you are ensured of an amazing safari experience in a pristine, unscathed natural environment. This is a place you can truly break away from it all. A part of what makes the reserve special is that, because the reserve has largely been untouched due to frequent management changes in its distant past, the rangers of the existing lodges are experts in tracking down game (rather than relying on the sightings called in by other lodges' rangers). It is a true safari experience. Can you visit the reserve for a day? No day visitors are allowed, which makes for great private safari experience. Are there any picnic facilities available? There are also no picnic facilities available, as guests are fully catered for at the luxurious lodges. The reserve is owned and managed by the local Mnisi tribe. Are there any other reserves adjacent to Manyeleti Game Reserve? Yes, there are, and they have no fences between them. The reserves adjacent are the Kruger National Park, Sabi Sand Private Game Reserve, and the Timbavati Private Game Reserve. In Shangaan, it means “Place of Stars”. Are there any spa facilities in the reserve? There is a wellness spa at Tintswalo Safari Lodge. What should I not forget? Bring a quality dust-free bag for you camera, as all the roads in the reserve are gravel and the park gets dusty in the winter. South Africa is a diverse destination that will appeal to all travelers. Botswana is a safari enthusiast's paradise, known for its wealth of elephants. Namibia is a massive desert country in southwestern Africa, offering unique safaris. Travel to Zambia for an authentic African safari adventure. Zimbabwe's major drawing card is the occurrence of the Victoria Falls. Mozambique travel comprises remote beaches and islands and pristine coral reefs. The Greater Kruger National Park is a two million hectare-strong wilderness in South Africa, home to 147 different species of mammals. 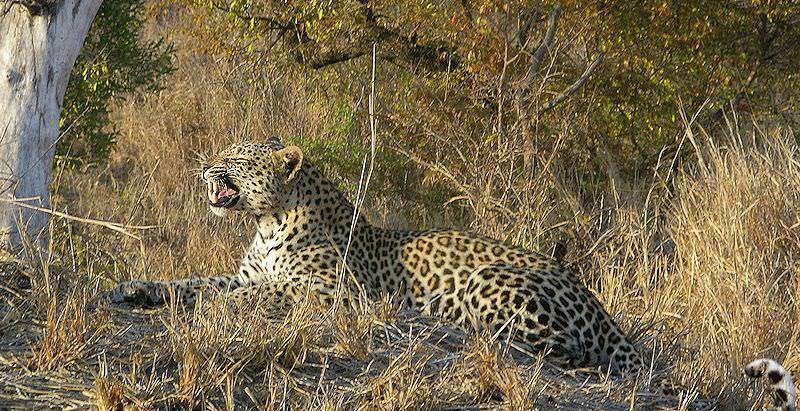 The Sabi Sand Private Game Reserve is famous for the high frequency of leopard sightings within its wild borders. Cape Town's wide range of exciting activities and attractions make it an enthralling South African tour destination. The Garden Route is a bewitching stretch of coast that starts in the Western Cape's Mossel Bay and ends around Storm's River.